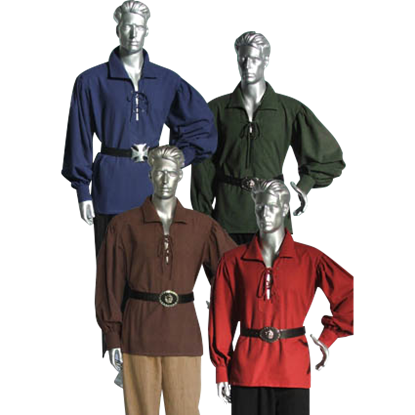 Dress the part of a true swashbuckler with our mens pirate clothing. 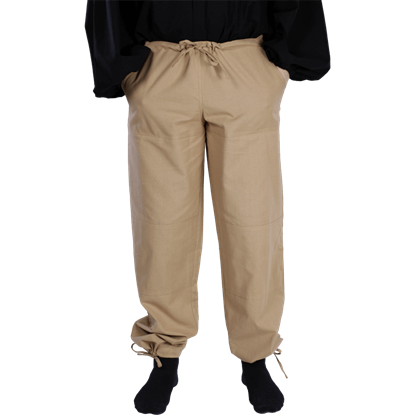 Here you will find all the clothing items you need to perfect the look of a pirate. Whether your pirate persona is devious or dashing is up to you! 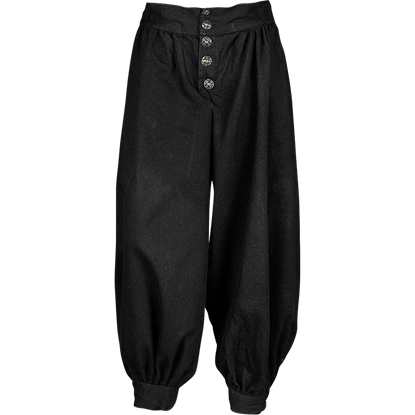 Start your outfit with a pirate shirt and pirate breeches or pants. 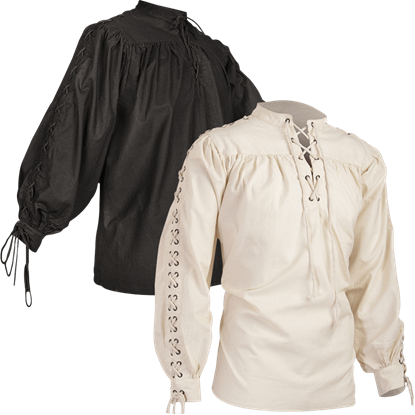 We offer mens pirate shirts in a variety of styles and fabrics, including ruffled sleeve pirate shirts, satin pirate shirts, and essential lace-up pirate shirts. 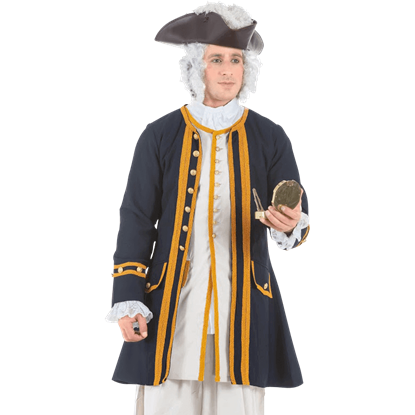 Then add a pirate vest and pirate coat to your look to create the look of a pirate captain. 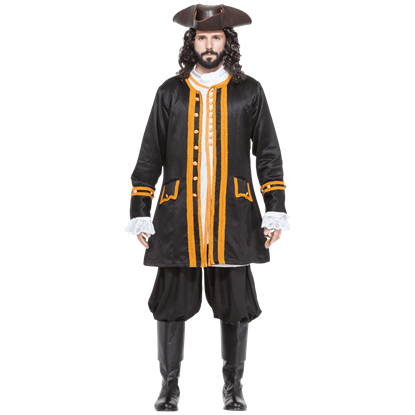 A lot of our pirate clothing also overlaps to traditional medieval or Renaissance styles! 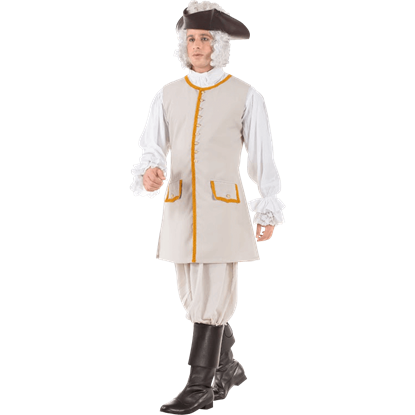 No matter the manner of buccaneer you are, be sure to shop our mens pirate clothing for your next pirate festival, theatrical performance, reenactment event, or Renaissance fair. 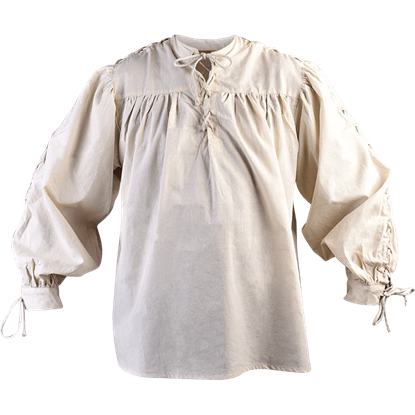 With its historical appearance and comfortable fit, the Alex Cotton Shirt is perfect for an engaging stroll through the Middle Ages, whether for an epic adventure in a land of high fantasy, or for reenactment at a renaissance faire. 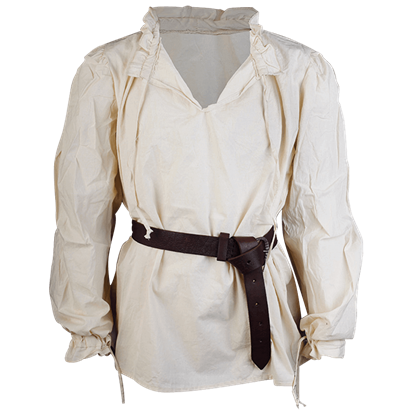 If you want a classic medieval shirt that looks authentic and easy to put on, look no further than the Alex Cotton Shirt with Eyelets! 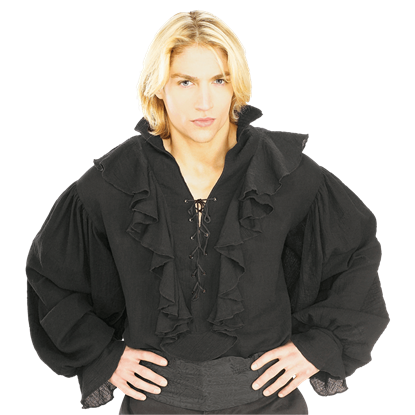 This high fantasy shirt is perfect in both the medieval world and the realms of fantasy roleplay! Do not let the heat of summer prevent you from the adventure offered by a LARP kingdom or a renaissance fair. The Bastian Linen Shirt impresses not only with its authentic look, but also with its cooling and sweat-absorbing properties. 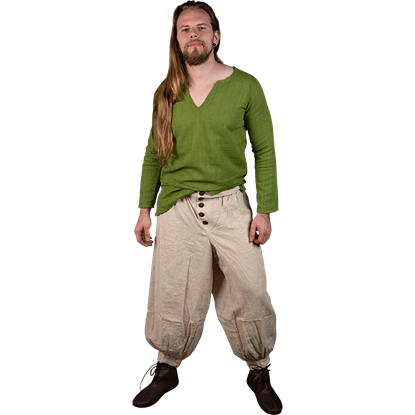 Made from light cotton fabric, the Bastian Shirt makes an excellent piece of medieval apparel for warm days at the Renaissance fair. 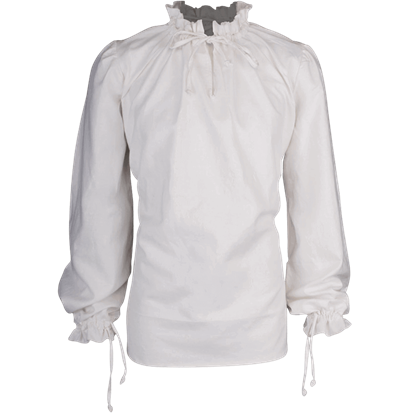 The period shirt features a wide cut with a subtly ruffled open collar that laces at the neck.